I had the pleasure of chatting with two hugely-talented, intelligent and down-right hilarious performers – Gwynne Phillips and Briana Templeton of The Templeton Philharmonic about their current sketch show, Unbridled & Unstable, a good-time-havin’ must-see at the Next Stage Theatre Festival (NSTF). We discussed the importance of taking risks, the freedom of making your own work, a remixed Downton Abbey theme song, inspiring artists, The Comedy Bar and putting the focus on the work. HS: Tell us about yourselves. B: I grew up in Kitchener, ON. G: And I grew up in the country, near Orangeville, ON. B: Both of us studied drama at the University of Toronto, where we met. We ended up doing a play together at Il Piccolo Teatro in Milan through the program, which needless to say was very, VERY fun. Since then, I’ve done a lot of theatre and worked behind the scenes for film companies. Right now, in addition to acting, I work as a writer and producer for advertising. It’s very fun and beneficial to infuse whatever comedy I can into my work in that arena, as well. G: When I’m not performing with The Templeton Philharmonic, I work for a charity called A Ticket Forward as their Social Media Manager. Briana and I have also worked for TIFF doing various jobs. As far as other acting gigs go, I also starred as Barbra in Night Of The Living Dead Live! directed by Christopher Bond last year, which was an incredible experience and probably the most fun I’ve had on stage other than doing sketch. HS: What sparked The Templeton Philharmonic to get started? B: We wanted to create something together as writers and performers, so we applied to the Montreal Fringe back in 2011. Thus, we were forced to create something and ended up making a comedy show. Nothing helps bring art to life like a solid deadline. G: We were also never cast in anything together at U of T and wanted to create our own work where we could have the freedom to play any type of character we wanted… for instance… two monks in a monastery. HS: Tell us a bit about Unbridled & Unstable at the NSTF. B: It’s a comedy show that features a lot of surreal, strange and silly sketches. It’s a lot of fun to perform, and to watch as well (so we hear). G: U&U (no one calls it that) is a loosely equestrian-themed sketch comedy show with a variety of characters who are all, in some way, either unbridled or unstable. HS: We are thrilled at how many female artists are representing at the NSTF this year. As artists who hang out in the comedy circuit as well, is that somewhere you see the same vibrancy of female talent being recognized? We’d love to hear your thoughts. B: Yup, it’s great. 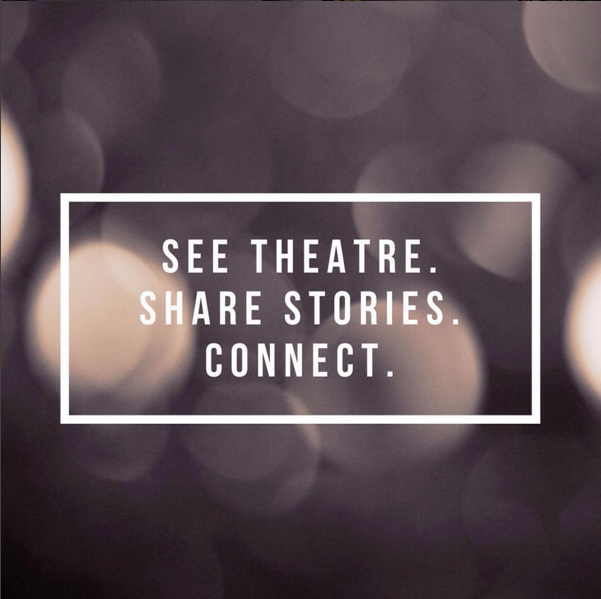 We feel lucky to be a part of both the theatre AND comedy scenes in Toronto – which are home to some awesome talent (of all genders). G: The calibre of talented ladies in the Toronto comedy scene is exceptional. We are very fortunate to have such a supportive comedy community. To state the obvious: the entertainment industry is a tough one. And in many ways: it can be even more brutal if you’re female. I think that it’s important for the genders of creators and characters to be more evenly represented in media (the The Geena Davis Institute on Gender in Media has some great stats if you feel like being depressed). And that includes comedy. I think it’s important to acknowledge the disparity and try and actively change that state of affairs. Of course, our viewpoints as feminists and females does inform our work. It has to, and that’s a good thing. But, I don’t think that’s the ONLY thing we can focus on in our writing, either. We want to be good comedians, period. Not good for comedians that get their period (see what I did there? A pun!). What I’m saying is: we’re very grateful for being recognized as artists, and that people like and/or connect with our work. That’s marvellous. But I hope we don’t get extra kudos just because of our chromosomes, but because we’re doing interesting work. Ya dig? HS: Totally. Great answer! Why do you think the NSTF is important for the Toronto arts community and Toronto as a whole? B: It helps artists reach a bigger audience, and it helps us to access venues that would be difficult for us to afford otherwise (without jacking up our ticket prices). Getting to perform at the Factory Theatre, for example, is such a pleasure for us. G: NSTF is great for creating a supportive community of artists gathered in one place to see each other’s work and inspire one another. It’s also refreshing to see so many people lined up outside at the coldest time of year to see some theatre! B: We both really like offbeat, old movies. We recently watched The Innocents (1961) together which is delightfully creepy. And of course, other writers and performers and comedians. I really love Maria Bamford and Key & Peele. In terms of fellow Canadians, I’d say: Tony Ho, Peter ‘n Chris, Kathleen Phillips, Mark Little and Dan Beirne (especially their recent “Space Riders” and “Dad Drives”), we could go on and on. G: Obviously love Tina Fey, Amy Poehler, Kristen Wiig, and Sarah Silverman, among others. But if you just pop into Comedy Bar here in TO, you are surrounded by talented and inspiring folks from stand-ups to sketch comedians who are going out and performing almost every night of the week and just trying stuff out. That’s inspiring. HS: What is your favourite part of Toronto and why? B: I love Toronto Island. Probably because of the insane 50-100 year wait list to live there. It makes it that much more appealing because it’ll never happen. Also, name wise: I like Baby Point and Crestfallen Lane. HS: I would love to hear the best advice you’ve ever gotten. B: “Those pants look terrible”. KIDDING. That’s one of the not-so-helpful pieces of advice I’ve gotten. Hmm… a theatre teacher once said “Don’t move unless you need to move, don’t speak unless you need to speak” in regards to being on stage. The point is not to be hesitant on stage but to find your intension and have stakes. Everything you write as a writer and everything you do as an actor should serve a purpose. And, don’t be afraid to streamline your work and distill it. Zero in on what you’re trying to get across, and/or how you are moving the action. G: Take risks. This is a hard one because it is easy to fall into a pattern that is comfortable – whether it’s in comedy or in life. Just do things that scare you. Don’t fall into old habits or repeat yourself too often. Shake things up! HS: Favourite part about the NSTF tent? B: The heaters. Also, the people huddling around them. G: The twinkly lights. And one year they had stew. I hope they have stew again. HS: If you could have your audience listen to a song or playlist before seeing the show, what would it be? G: “The Downton Abbey Opening Theme Song” immediately interrupted by “Pump Up The Jam”. HS: Describe Unbridled and Unstable in 5-10 words. G: A fast-paced, energetic, comedy/variety show featuring hobby horses. HS: What’s another NSTF show that you are most excited about? B: I’m excited to see Dink! Kris Siddiqi makes a voiceover cameo in our show, and Jasmine Chen guest starred in our CBC Punchline web series, “Womanish”. Also, Graham Clark Reads The Phone Book and For A Good Time, Call Kathy Blanchard seem very promising. G: I would love to see all the shows if I get the chance! They all look intriguing to me. That being said, Graham Clark Reads The Phonebook seems right up my alley. Playing everything from upper crust Edwardian snobs to unhinged modern suburbanites, Briana Templeton and Gwynne Phillips have created a show loaded with surreal humour, outrageous dance sequences, and biting social commentary. Unbridled & Unstable will feature best-loved sketches from the duo’s repertoire alongside plenty of daring new material. Expect the unexpected. Tickets: $15 – Buy here.